The weather is starting to warm up and I couldn’t be more excited. But when it’s hot outside, nothing makes me happier than a cool, refreshing drink. I use to reach for Diet Coke when I wanted something cold in the afternoon, but a couple years ago I decided to give up soda. Have you ever done that? Was it is so hard for you too? Even after 3 years I still want a large frosty Diet Coke when the weather warms up. So these last two years I have been having fun making other options to keep my cravings at bay. 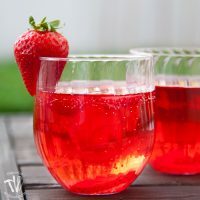 Flavored waters are one of my favorite soda substitutes and this Strawberry Hibiscus Sparkling Water is now my new favorite! This post contains affiliate links. I receive a small commission on products purchased through these links at no additional cost to you. I am only sharing products that I use and believe in. I’ve always loved the look of hibiscus flowers. They make me think of Hawaii. But it wasn’t until recently that I learned they are edible. You can typically find the flowers dried into a tea, but when I was at the grocery store the other day, I needed some bulk spices and as I was searching for the one I came for I noticed dried hibiscus flowers. I was so excited! With no clue how I was going to use them, and the full support of my sweet little 4 year old, we hurried and filled a little bag full of the dried flowers. Now I was a little worried because the dried hibiscus flowers kinda look like a dried up squid to me. They are very dark in color, almost black, with the petals all dried up looking like tentacles. But I decided to just toss a couple of those scary looking dried flowers into my water bottle the other day and it was amazing! The hibiscus makes your drink a VIBRANT pink. Seriously, look at how bold that color is. And to get that bold color all you need to do is let the flowers steep in the cool water for a couple hours, that’s it. They also have a slightly tart flavor. Don’t expect a super sweet, kid drink from the hibiscus flowers. The flavor is floral and tart, almost like a cranberry, but very refreshing. 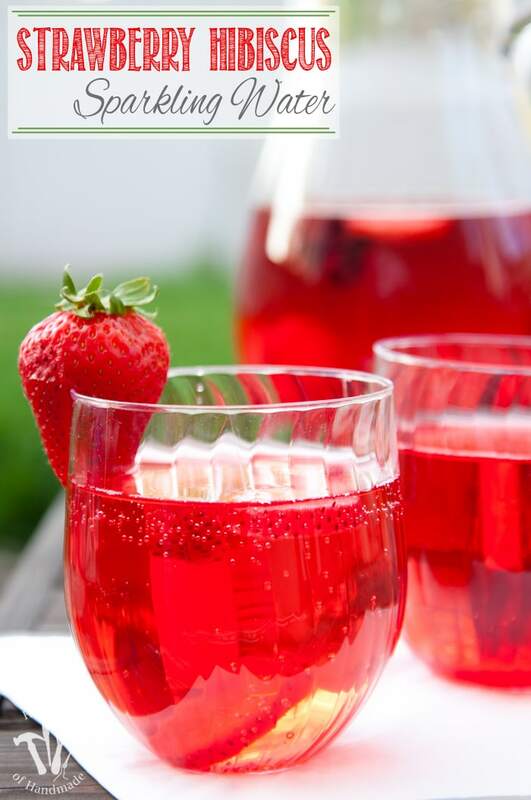 To give the hibiscus flavored water a bit more sweetness I decided to toss in a few fresh strawberries. The strawberries have been on sale these last couple weeks so I have case of them in my fridge all the time. 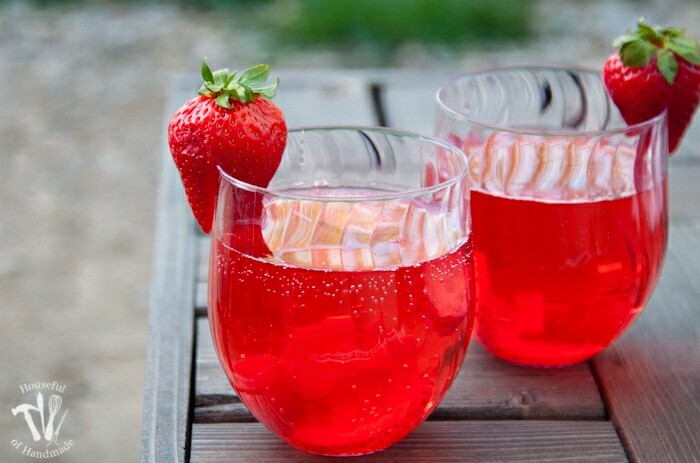 The combination of the sweet strawberries and the tart hibiscus make this flavored water amazing. I have been throwing a couple hibiscus flowers and a few strawberries into my water bottle almost every day, but today I had to take it one step further… sparkling water… and now I’m hooked. 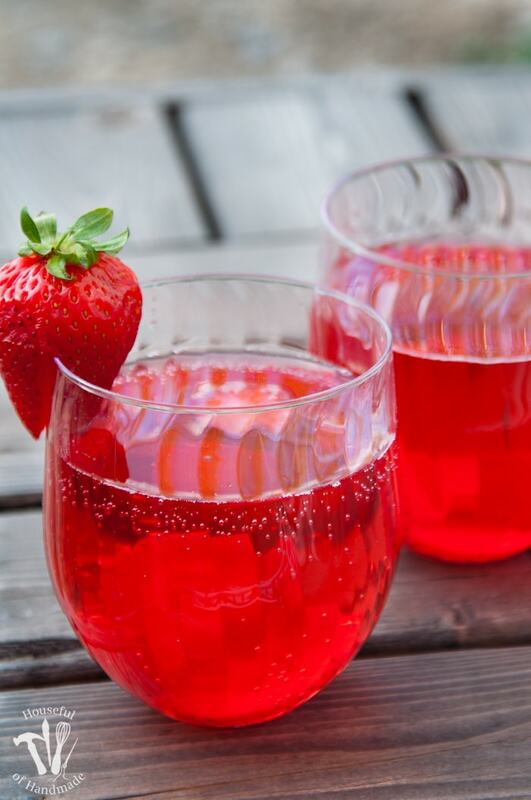 A little sweet, a little tart, and a whole lotta bubbles are definitely going to come in handy when I am craving a cold drink this spring and summer. So long Diet Coke! This is my new favorite flavored water recipe! This strawberry hibiscus sparkling water is so refreshing and perfect for summer. 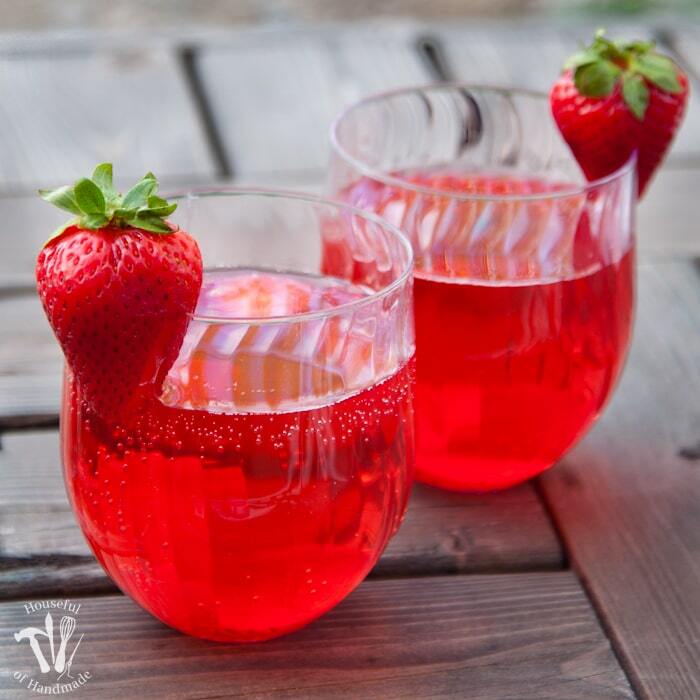 Slice strawberries and place in a pitcher. 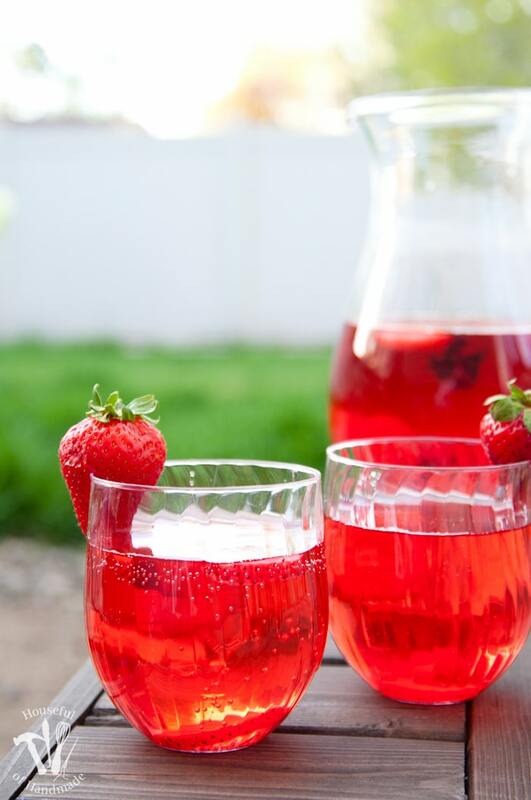 Pour one bottle of sparkling water over the strawberries and hibiscus flowers. Refrigerate for a couple hours. Pour second bottle of sparkling water into pitcher right before serving. Oh my gosh, you’re so right, they DO look like squid! What a gorgeous colour they end up though! Thank you for stopping by Maria! I’ve had drinks with hibiscus at restaurants before, but I’ve never known where to buy it myself. I need to check my grocery store! This drink sounds sooooo yummy. I’ve been on such a strawberry kick lately.